Until relatively recently, the mining industry has been slow to innovate. Now, virtually every area of mining is undergoing a technological upheaval. At the forefront of this transformation in mining are disruptive technologies – ground-breaking concepts that challenge traditional and accepted practices and are shaking up the industry. To highlight the company’s commitment to finding and adopting innovative technologies, Goldcorp will again be hosting the #DisruptMining marquee event at the Prospectors and Developers Association of Canada (PDAC) conference in Toronto in March 2018. Aside from providing opportunities for the winning disruptive technologies at #DistruptMining, Goldcorp has had many wins of its own, as its strategy for digital transformation has gathered momentum. 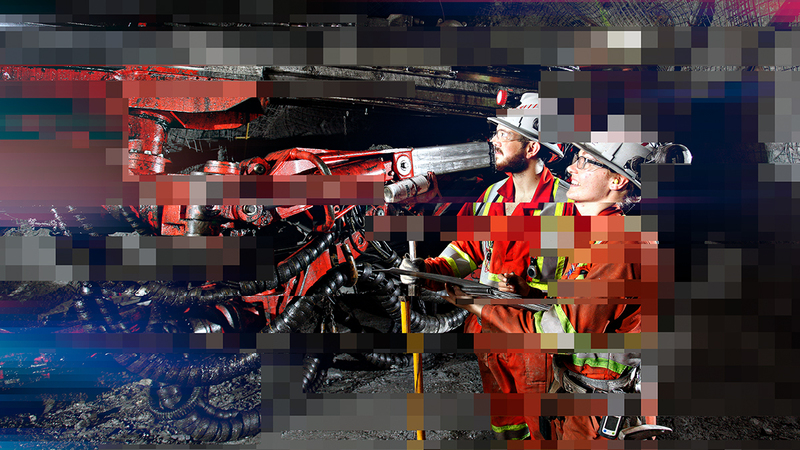 Working with Cisco to build the next-generation of connected mines, Goldcorp is paving the way for autonomous operations supported by computer systems equipped with cognitive analysis and machine learning. In addition, Goldcorp has been working with Accenture and other technology service providers over the past five years to develop a digital roadmap to consolidate the flow of information, improve visibility, and optimize workflows, productivity and safety. Creating a connected mine, enabled by cloud and Internet of Things (IoT) technology, provides mine supervisors and head office personnel with real-time visibility and control over the entire production chain from multiple sites. Unlike traditional computer systems, which are programmed by people to perform fixed tasks, cognitive computing systems, also referred to as Artificial Intelligence, have the ability to learn through their interactions with both data and humans, and this has been taken a step further at Goldcorp with IBM Watson. Watson, is being piloted at our Red Lake mine and has a unique ability to read, analyze and learn from natural language, and allows it to make informed, context-specific decisions. It will eventually be able to refine and build exploration modeling systems and will be used to make predictions and provide recommendations on where Goldcorp should direct its exploration activities. Goldcorp is also exploring the possibilities of virtual and augmented reality (VAR), once in the realm of science fiction, but through collaboration with Microsoft, geologists and engineers could now confirm and field test their models and plans through holographic spatial mapping. Rather than simply viewing a 2D or 3D representation on a monitor or paper, VAR users can interact with and manipulate holographic images to visualize mine design, a bench in a pit or a block model to more accurately define ore tonnage and grade. Over the coming months, we will be sharing stories on our innovation journey, which has been shaped by the increasing need to rethink our operations throughout the entire mining life cycle in order to be safer, more productive and responsible, with the end goal of delivering value for our investors and all of our stakeholders. Goldcorp will be at the forefront of mining innovation with #DisruptMining 2018, encouraging the rest of the industry to collaborate more effectively, and promoting more innovation in an industry ripe for transformation.